I knew of Butterfly Fish, but my first real introduction to it was at Africa Writes last July, where Irenosen Okojie was on a panel on new Nigerian fiction along with A Igoni Barrett, Elnathan John and E C Osondu. In the synopsis of the panel, the book is described as including 'the dual narrative of contemporary London and 18th century Benin'. Published in 2015 by Jacaranda, the book sounded intriguing - especially the historical aspect of it. While my first instinct is always to gravitate towards female writers, in this instance, I have to say my bias for all things Lagos took over - I ended up getting a copy of Blackass and This House is Not For Sale. Fast forward to September and I was asked by the Ake Festival Team if I would host a bookchat with Taiye Selasi and Irenosen Okojie (um, yes!!!). I will admit, though, that if it wasn't for the bookchat, I probably would not have read Butterfly Fish until much later than I did - which would have been a travesty, because this is a truly captivating novel and an amazing debut. 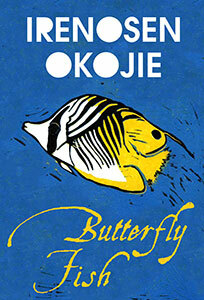 Thinking back to my book chat with Irenosen Okojie - which I really should have recorded - I remember that Butterfly Fish started life as a short story, took almost six years to write and involved a lot of research on the Benin empire. Butterfly Fish is told in three parts – Part 1: Modern London, London 1970s and 19th Century Benin; Part 2: Modern London, Lagos 1950s and 19th Century Benin; Part 3: Modern London and Lagos 1950s. It begins in modern day London. The main character, Joy, has recently (and unexpectedly) lost her mother, Queenie. It has just been Joy and Queenie from day one – Joy never knew her father. It’s clear Joy is struggling with her mother's sudden death. Joy is also going through depression and Okojie captures her struggles with depression, along with the loss of her mother, in a way that allows you to feel for Joy, without feeling sorry for her. Joy is a broken character - there is no doubt about that - but she is able in some way to deal with the loss in her life through her neighbour – Mrs Harris - a fascinating character, who has her own secrets. Butterfly Fish has quite a few characters – Joy, Queenie, Mrs. Harris, Mervyn, Adesua, Oba Odion and his other seven wives (Adesua was number 8), Peter Lowon, who we meet through his journal entries, to name a few. As seen above, it is also set in a number of different periods and locations. Yet, it is not a confusing read and it is written in a way that is very easy to follow. As such, while Joy is trying to deal with the loss of her mother, Okojie briefly introduces Adesua – the young woman who will soon become the eighth wife of the Oba in 19th century Benin. Not before we are whisked back to Joy, who heads to Mervyn – a lawyer and her mum’s Jamaican friend - who has been in Joy’s life since before she was even conceived. Here he presents Joy with her mother’s will, in which Joy has been left with everything her mother had – £80,000, her house and all the contents within it, a brass head artefact and her grandfather, Peter Lowon’s, diary. With that we find the pieces – the brass head – which in a way connects modern day London with 19th century Britain; and Peter Lowon’s diary – which connects 1950s Lagos with London. 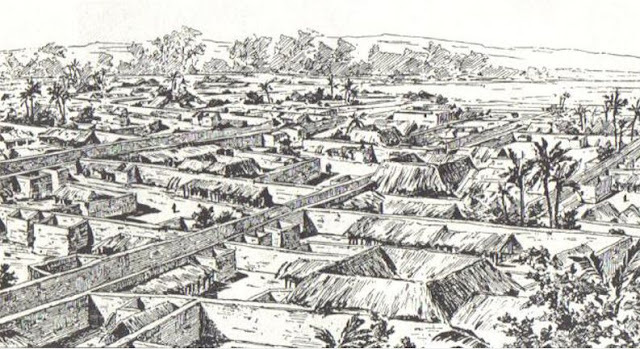 That was another thing about Butterfly Fish - 19th century Benin was captivating, and so was modern-day London and 1950s Lagos through Peter Lowon's diary. I was interested in all the characters and in all the places and all the periods, but in very different ways - and one was not better than the other. 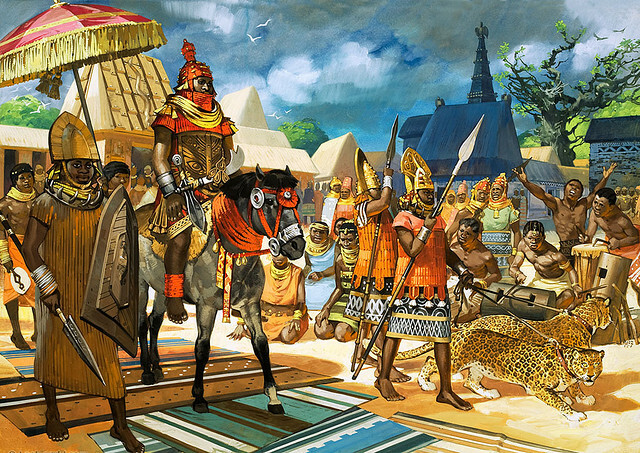 With the sections on the Benin kingdom, Okojie created a stunning world with characters I was invested in: Adesua – who was ‘not fit for marriage and will embarrass the palace’, but who Oba Odion (the current king) was hell-bent on taking as wife number 8; king Oba Anuje – Odion's father and previous king; Odion's many different wives – including his third and favourite, Omotola; Sully - the stranger who waltzes into the kingdom, and whose presence leads to a dangerous liaison with Adesua. Then there was Ere, the craftsman, who was forced to carve a brass head in the likeness of the Oba’s rival – Ogiso. A brass head that was too close to Ogiso's image that for the Oba it seemed to wield an ‘unsettling power’. So he gave it to Adesua – lying that it was in honour of their marriage. A gift that caused a stir in the palace – the Oba showing favour to his new wife. A gift that stirred something elsewhere further afield, in the form of a spirit looking for its new home. A gift that a woman in modern day London, Joy, will one day inherit from her mother. Back in London, and since inheriting the things from her mum, Joy seems to be followed by a woman – who she first chased on the streets of Harlesden and then appears in some photos she has taken (Joy is a photographer). This woman then begins to be spotted by Joy a lot more frequently in many different spaces and places – including ‘on top of the TV set cross-legged playing with static'. Joy eventually refers to her as Anon - but who she is and why is she in Joy's life? I mentioned earlier that Joy was a broken character, but looking at the Lowon family, they seem to be troubled. It can be seen with Joy in modern day London, with Queenie in 1980s London and with Peter Lowon - Joy's grandfather - through his journal in 1950s Lagos. Journal entries which were also incredibly written. The family did seem to be cursed, or at least those three members of the family. I did wonder if it had anything to do with the brass head which Peter Lowon was gifted – under not-so-ideal circumstances from his Oga - General Akhatar, while he was in the army. Honestly people just be gifting that brass head any how. There are also secrets that haunt this family - Queenie had hers, which Joy only learns after her mother’s death. Peter Lowon had his, which are revealed through his diary. Ultimately, this is not a happy story – there is death, sadness and a lot of haunting things that cast over each character. It is also a beautifully written and captivating novel, spanning centuries and locations with multiple, often-connected characters. Butterfly Fish also weaves in myths and the surreal – brass heads which may be possessed by spirits, Anon which may be haunting Joy. Okojie is a beautiful writer and storyteller. Every word captivated me, every scene drew me in further, and I also felt like I was there - 19th century Benin, 1950s Lagos and 1980s London - with every character. Okojie’s female characters are also beautiful and flawed and human – Joy, Adesua and Queenie – even mysterious Mrs. Harris. Every character also has a place and serves a purpose – including the diary, the craftsman, Sully, Joy’s lover - who really does more harm than good for her - Mervyn. This honestly is an amazing debut, and I am definitely looking forward to what Okojie has up next. Thankfully I don't have to wait too long - as Okojie has a collection of short stories, Speak Gigantular, which will be published in June by Jacaranda.